I had to prepare some sweet and send it with Sruti to her school. They have asked the parents to send a box of sweet to donate for charity. That is so sweet of them. I decided upon these cookies. I came upon the recipe at Manjula’s Kitchen. It is eggless and can be prepared within half an hour. It is not of the crispy kind. It was soft inside but had a crisp outer layer. It was very sweet. So in the recipe given below I have reduced the amount of sugar considerably. 2. In a bowl add atta, salt, sugar, cardamom powder and chopped walnuts. Mix well. 3. Add butter and knead the dough. Add required quantity of milk to form a soft dough. 4. Grease a baking tray . 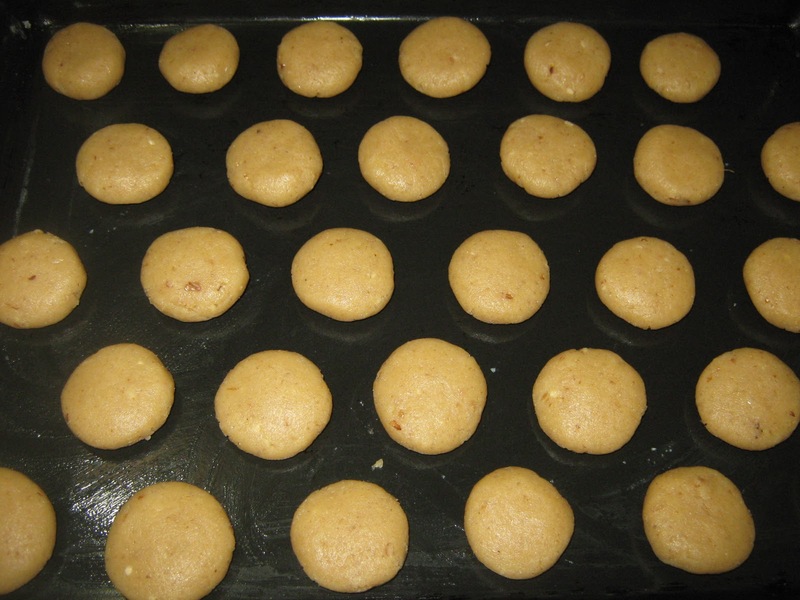 Make small balls out of dough and flatten it to form a 1/2″ thick cookies. 5. Bake for 15-18 minutes or until brown in colour. 6. After removing from oven let it cool for 3minutes before you remove the cookies from the tray. 7. Cool on wire rack and store in airtight container. Nice cookies for great cause. Yummilicious Cookies….good step by step presentation… !! Wheat and eggless..this one is perfect in my book! Gorgeous looking cookies and a simple recipe too. Thanks for sharing. Bookmarked!!!! 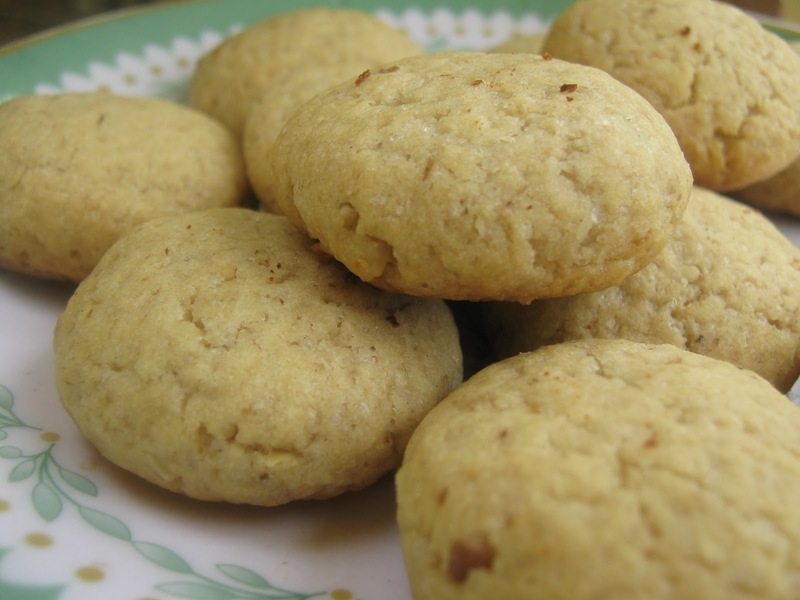 a very nice cookie recipe..the wheat walnut combo must be really yummy!! Cookies look very appetizing ! !